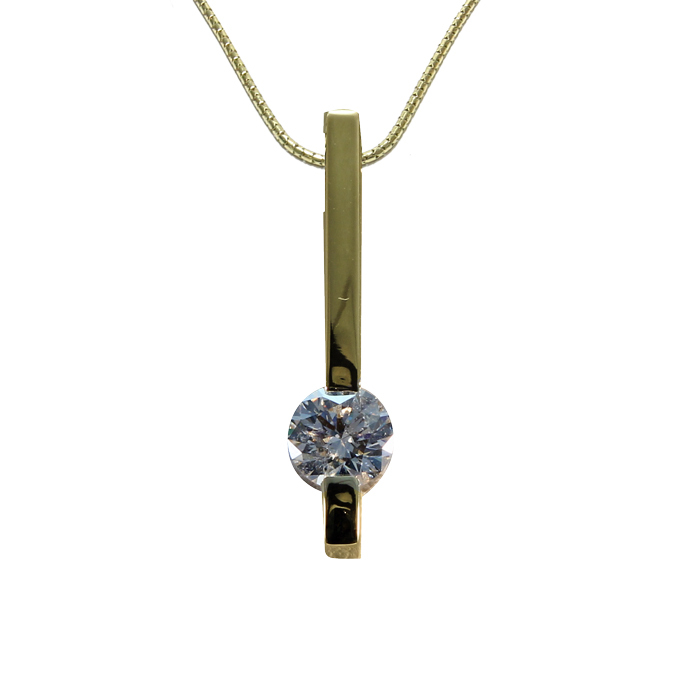 Diamond pendant, 14k yellow gold set with a marquise cut diamond 0.33cttw. 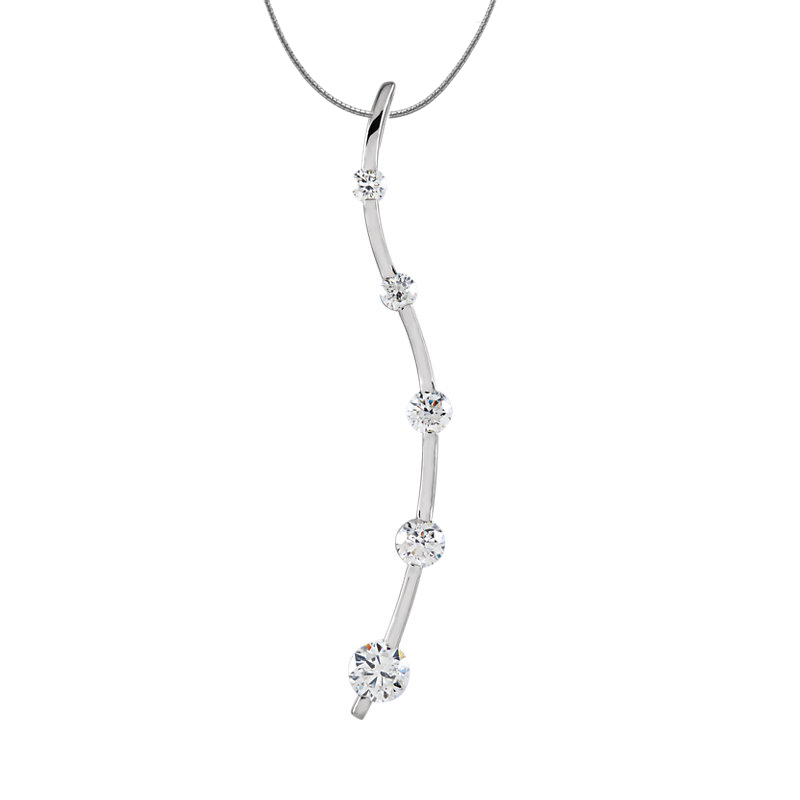 Diamond journey pendant, 14k white gold set with 5 diamonds 0.50cttw. 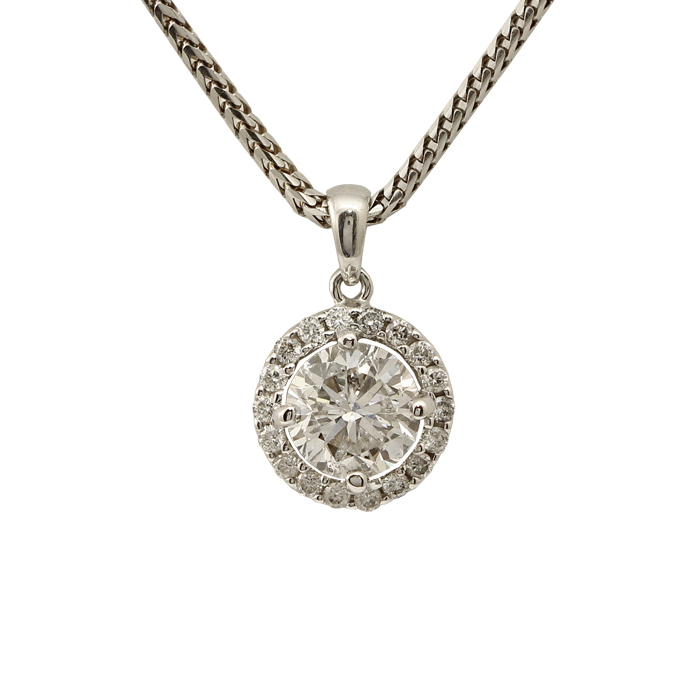 Diamond halo pendant, 14k white gold set with a 1.03 ct center diamond and 0.18cttw of melee diamonds. 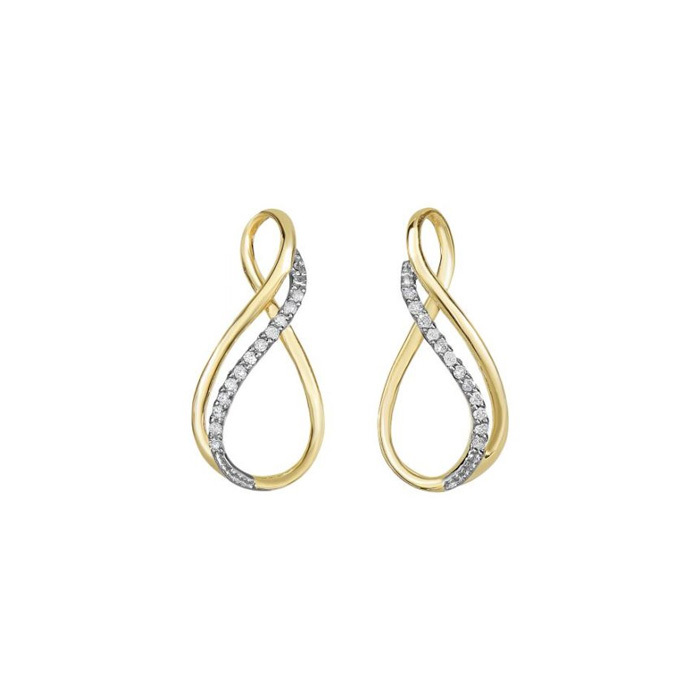 Diamond infinity earrings, 14k yellow and white gold set with 0.10cctw of diamonds. 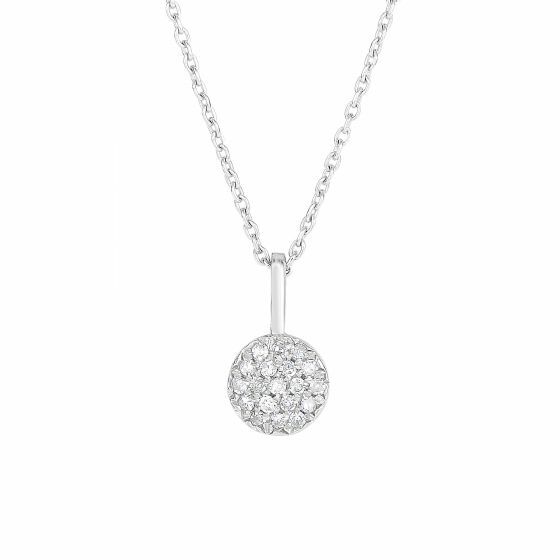 Diamond disk pendant, 14k white gold set with 0.10cttw of diamonds. 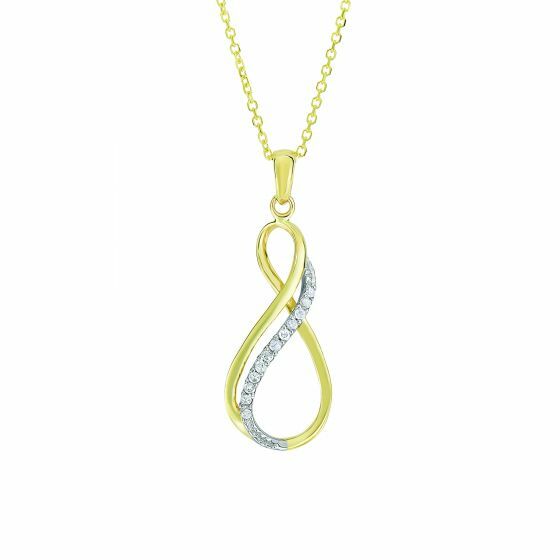 Diamond infinity pendant, 14k yellow and white gold set with 0.05cttw of diamonds. 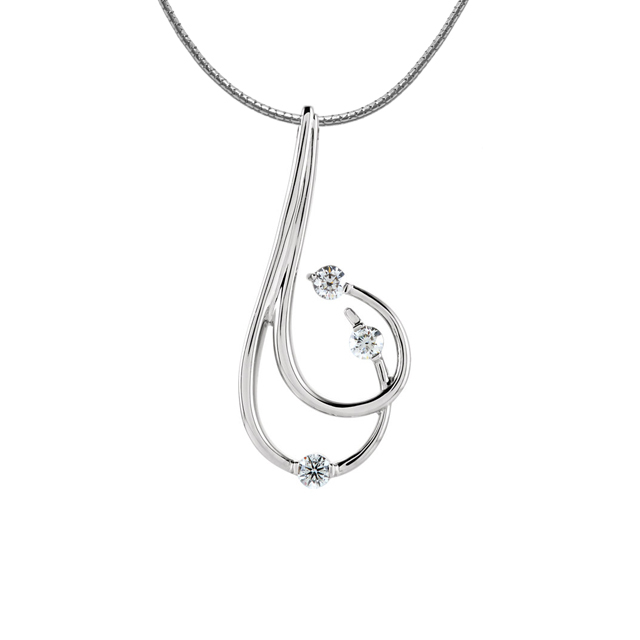 Diamond pendant, 14k white gold set with 3 diamonds 0.25cttw in a free-form mounting. 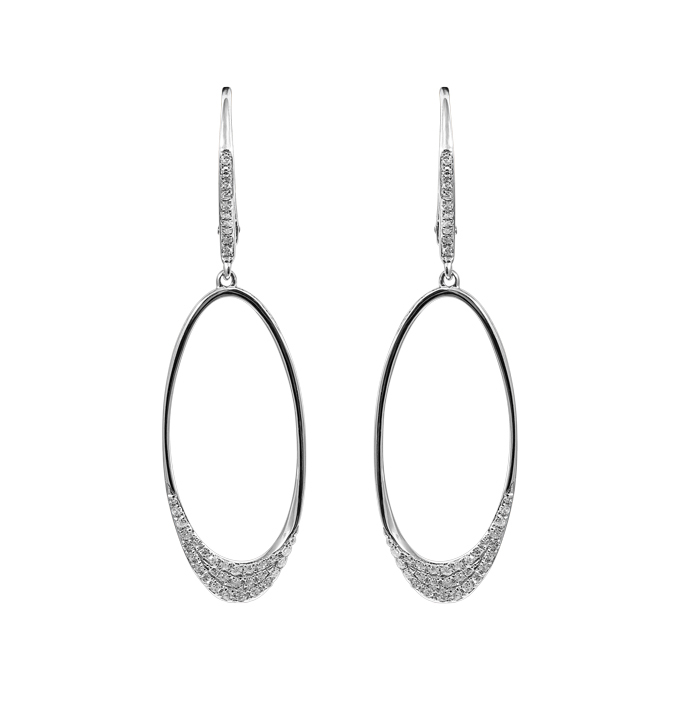 Diamond inside-out hoop earrings, in 14k white gold with 1.28ctw diamond. 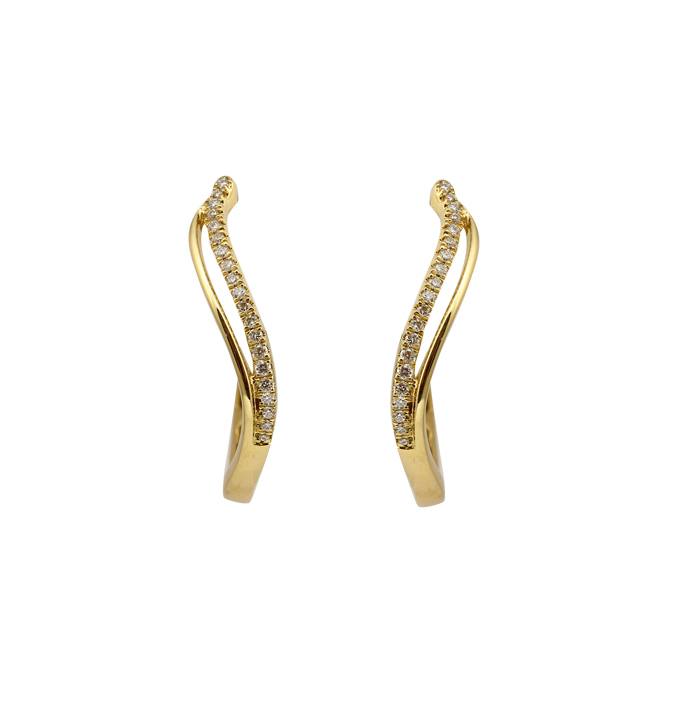 Diamond curve hoop earrings, in 14k yellow gold with 0.10ctw diamond. 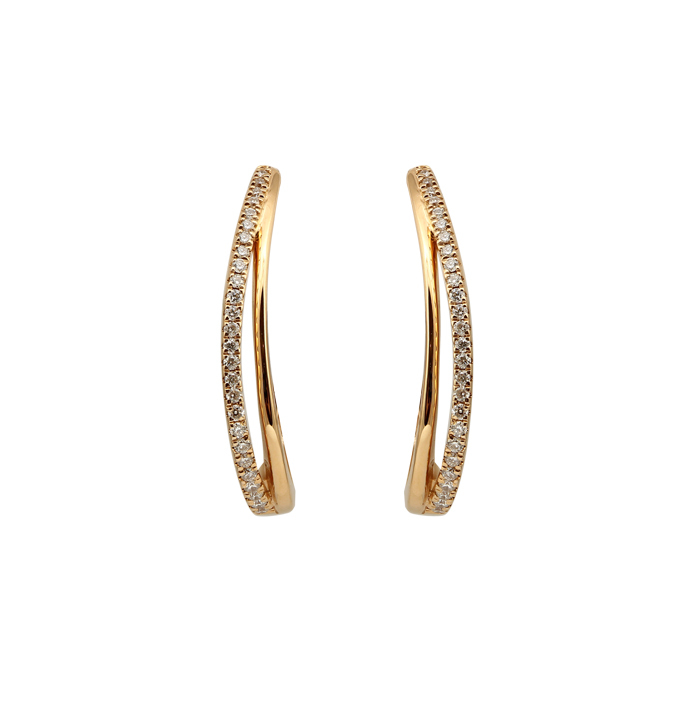 Diamond hoop earrings, in 14k rose gold with 0.15ctw diamond. 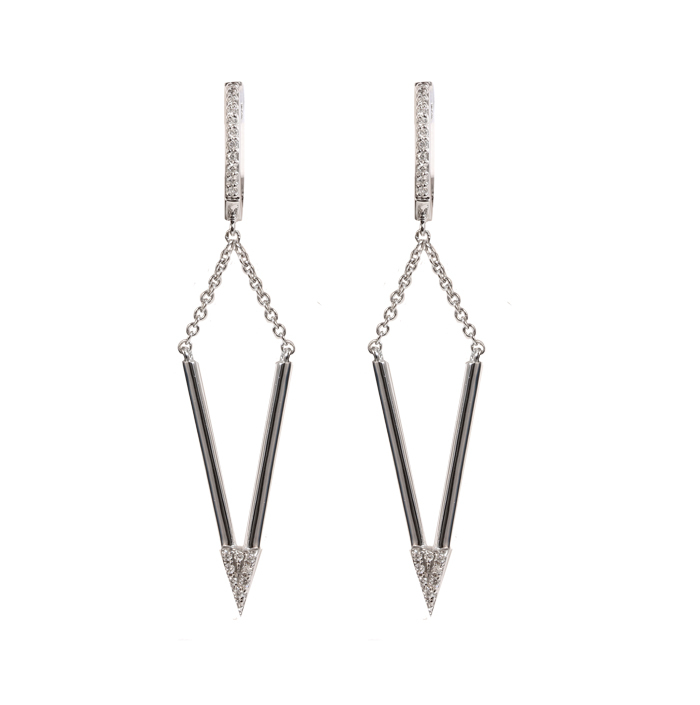 Diamond earring dangles, 14k white gold set with 0.3cttw of diamonds. 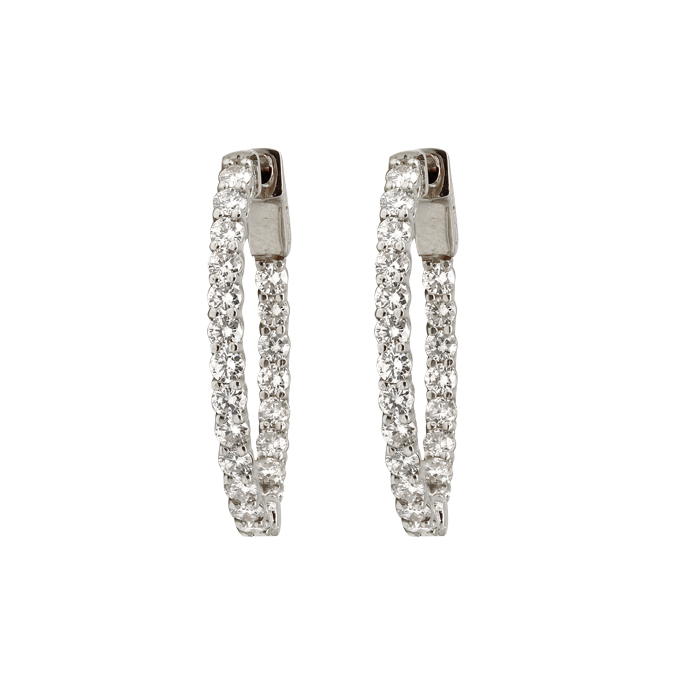 Diamond earrings, 14k white gold set with 0.12cttw of diamonds. 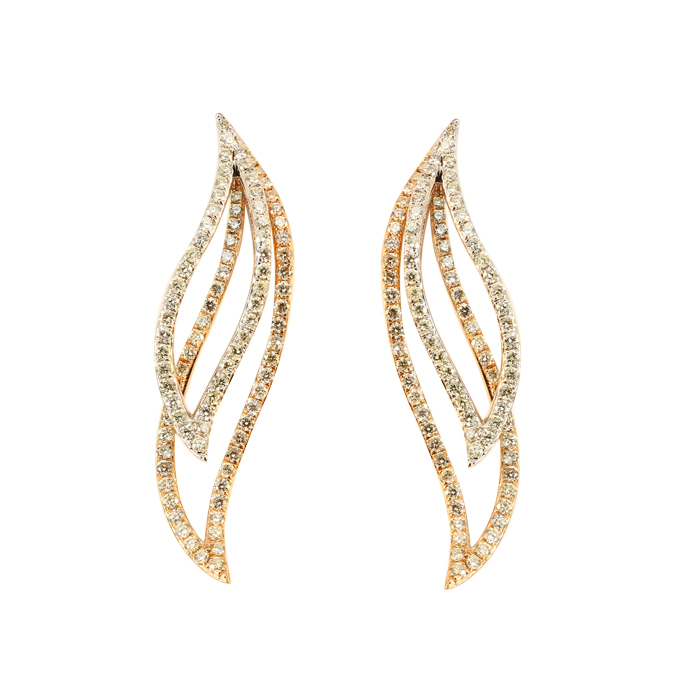 Diamond leaf earrings, 14k white and rose gold earrings set with 0.93cttw of diamonds. 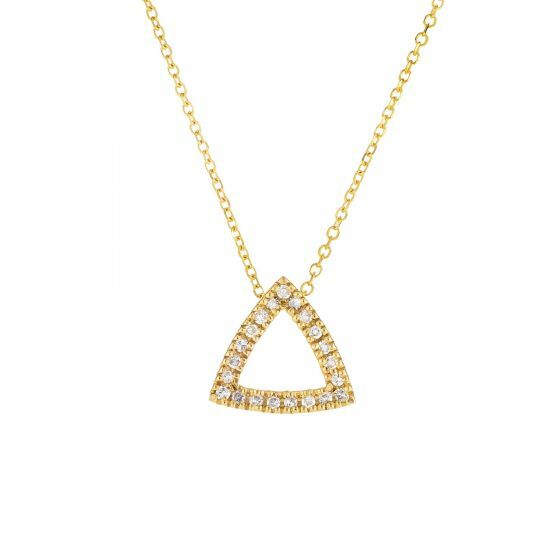 Diamond triangle pendant, 14k yellow gold set with 0.11cttw of diamonds. Diamond tennis bracelet, 14k white gold set in prongs with 4.19ctw. 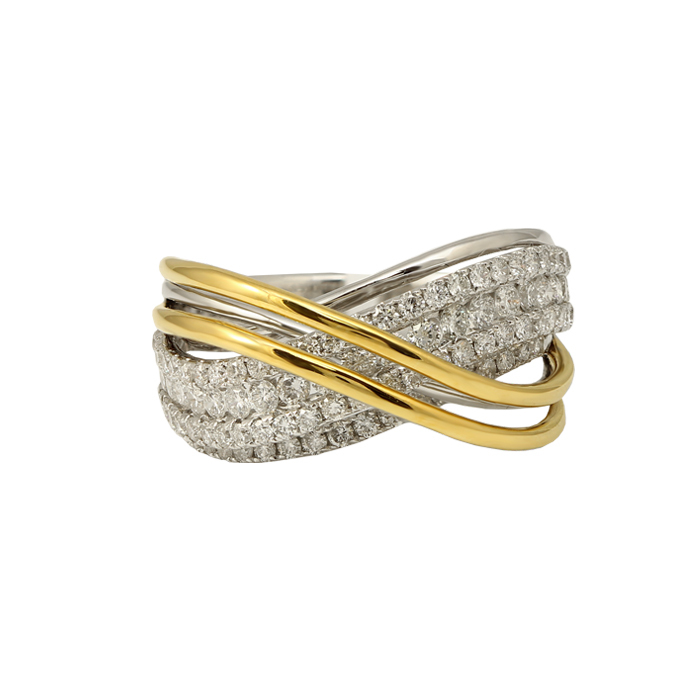 Diamond tennis bracelet, 14k yellow gold set in prongs with 6.0cttw. 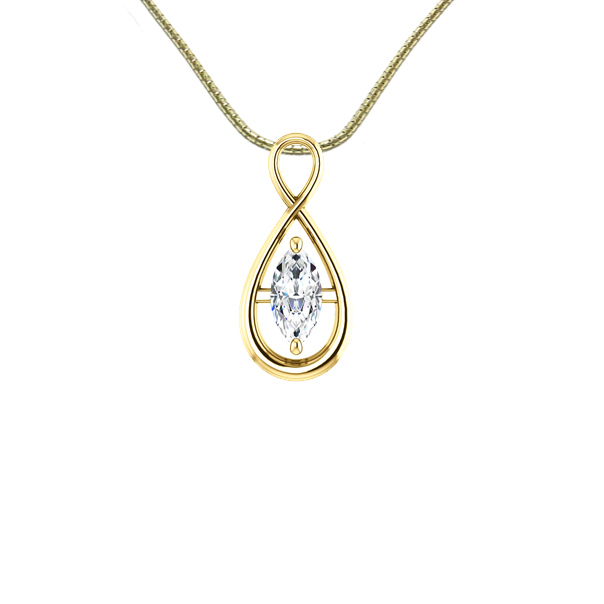 Diamond pendant, 14k yellow gold set with 3 diamonds 0.12cttw. 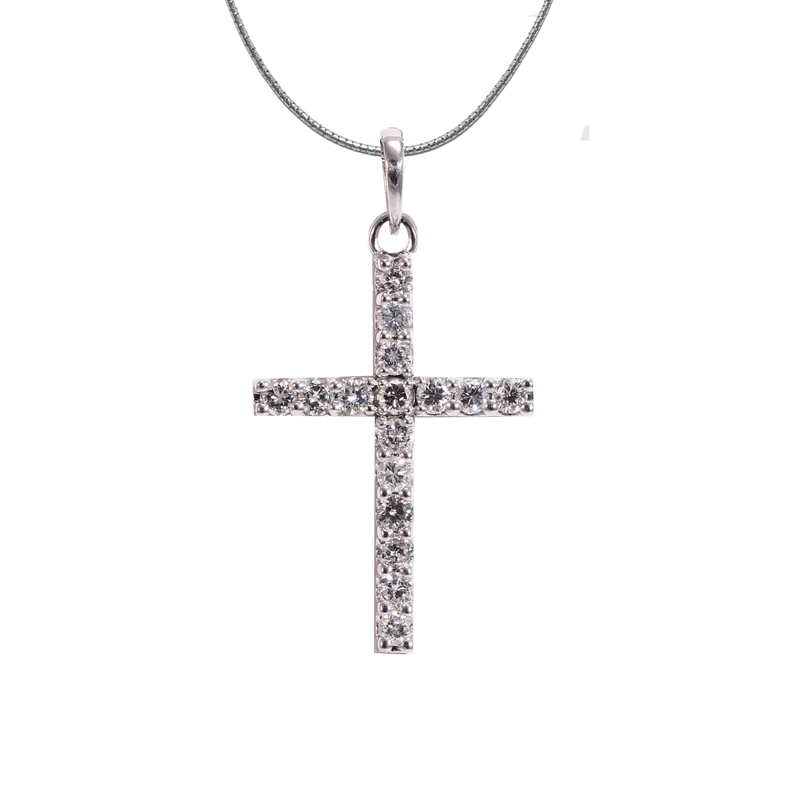 Cross pendant, 14k white gold set with 0.47cttw of diamonds. 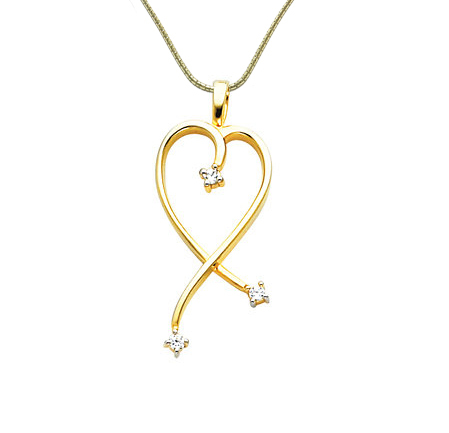 Diamond Pendant, 14k yellow gold set with 1 round diamond 0.43ct. 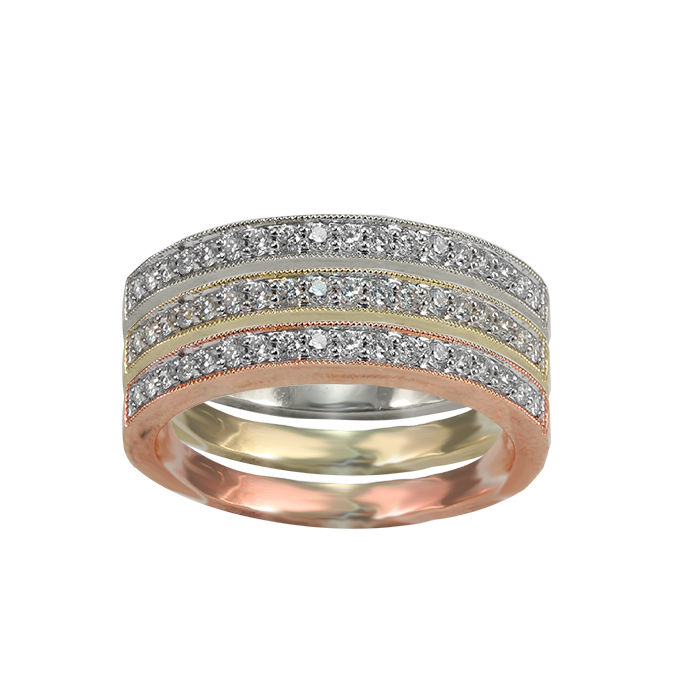 Diamond ring, 14k yellow & white gold set with white diamonds 1.42cttw.